Firefighters work to extinguish a burning home in Crystal Lake Friday evening | Photo by Alex Vucha. A neighbor helped evacuate a woman inside her burning home before firefighters arrived in Crystal Lake Friday evening, fire officials said. 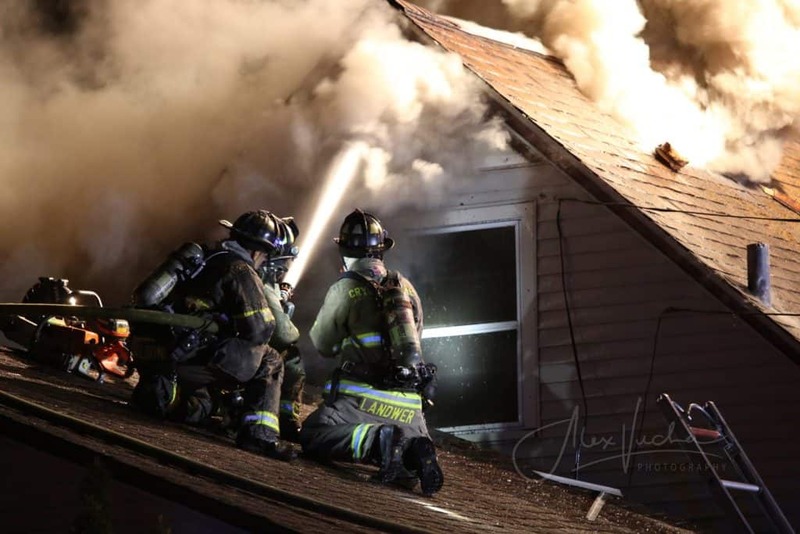 The Crystal Lake Fire/Rescue Department was called at 8:39 p.m. Friday to the 200 block of West Woodstock Street for a reported structure fire. Fire officials said that a woman was inside the home at the time the fire started but a neighbor notified the woman, who was able to escape safely before firefighters arrived. Fire crews arrived at the scene five minutes after being dispatched and found smoke and flames coming from the second floor and roof of the single-family home. 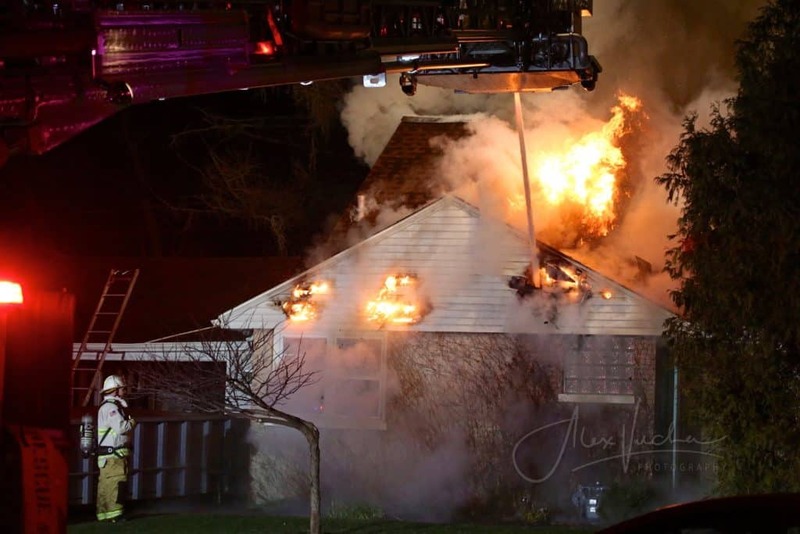 The fire was elevated to a second alarm through the Mutual Aid Box Alarm System (MABAS), which brought numerous neighboring fire departments to the scene. “The crews attempted to make entry, but quickly retreated from the building as the entire attic area was involved in fire,” fire officials said. Firefighters worked from the outside of the building to apply water to the attic and the fire was deemed under control at 9:58 p.m. No injuries to the occupants or firefighters were reported. Extensive damage to the roof, attic and second floor was reported. The home is uninhabitable due to structural damage from the fire and water. Damage was estimated at $125,000, fire officials said. Investigators are working to determine the cause and origin of the fire.